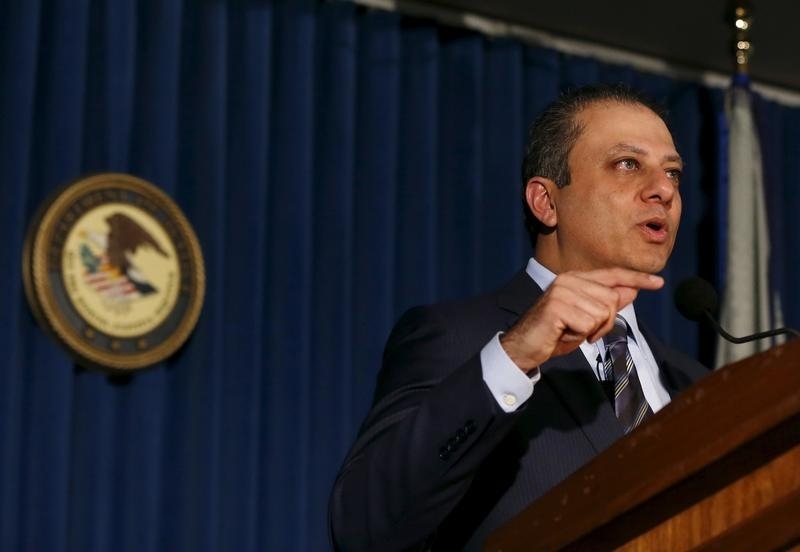 New York - The list of those under the microscope for possible corruption continues to grow as U.S. Attorney Preet Bharara vowed that his office is conducting full scale investigations at all levels of city and state government. Delivering the keynote address at an annual event held by Common Cause New York in Manhattan on Tuesday, Bharara, the man who took down former Assemblyman Sheldon Silver, warned that his office will follow the trail of corruption no matter where it may lead, as reported by The Daily News. “Executive offices in government are far from immune from the creeping show-me-the-money culture that has been pervading New York for some time now,” said Bharara. A story in today’s Wall Street Journal noted that Bharara is taking a closer look at whether favors may have been granted to those who contributed to the mayor’s Campaign for One New York fund and is also examining the change in classification awarded to a Lower East Side health care facility by a member of the de Blasio administration. Jacob Landau, the Allure executive who worked with the city to have Rivington House’s deed restrictions removed, had donated $4,950 to the mayor’s election campaign, the maximum allowable donation. A spokesperson for the mayor said that Landau’s donation has been returned. Governor Andrew Cuomo’s office has also come under scrutiny, with Bharara reportedly looking into economic development spending in Buffalo. In his address yesterday, Bharara made a television-style reference to his office’s ongoing investigation, advising the public to “stay tuned” for further developments. Bharara took aim at Cuomo and the Moreland Commission, the governor’s short lived and often criticized corruption probe. the name is Joel Landau and he is Satmar. Someone must go to jail for kicking out poor AIDS patients out into the street, so much for a "progressive" mayor when he gets a kick back. It would be very foolish to rush to judgement no matter what the news reports. we have to be dan lkaf zchus, that is our obligation as frum Jews. it would be Tish James per the charter a toieva woman of color. I hope Preet does go back to those days as justice must prevail. Peet's been on Coumo's heels since before he nabbed shelly. He has nothing on him. Coumo is a smart politican. I attended the Shelly trial, Preet may have got a guilty verdict but it's far from over. From attending the trial I can say first hand that the prosecution's case was extremely weak and all based on theory. The most embarrassing part was when Dr. Taub testified that there was no official exchange of favors. I believe it will beh' be reveresed on appeal. Cuomo has accepted too much get from our developers. Preet knows it all.